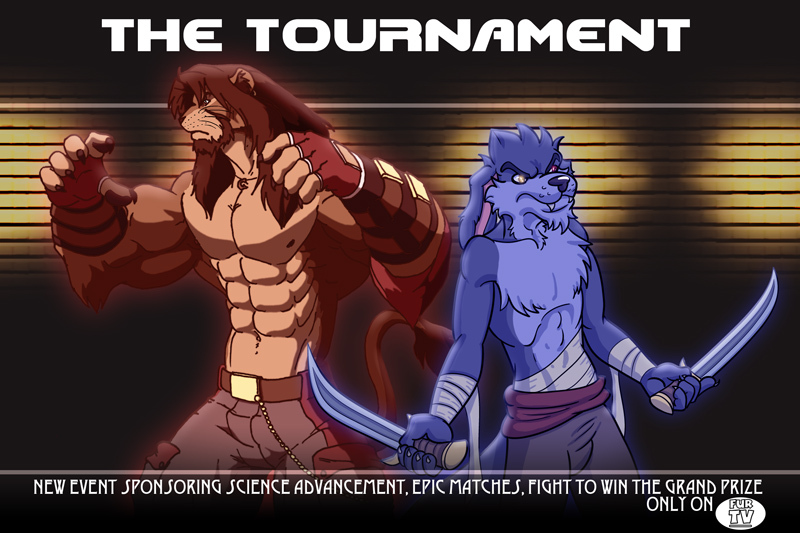 It begins here, the official story behind The Tournament. Follow the beginning of the great event, as two villains meet for the first time to put together one of the greatest schemes. "Tell me professor," the fox asked as he approached the mouse from behind, "Is it true that they cut your funding?" "Ho-how would you know that?" The professor stuttered as he quickly covered the pocket in his white lab coat, he had been so busy clearing out his equipment in the laboratory that he hadn't heard the fox come in. The fox was formally dressed in a business suit and greeted the professor with a wicked grin. "Uh... oh... You're not one of those corrupt businessmen that want my work for evil, are you?" The question popped out of the mouse and he started fixing with his glasses out of nervousness. The fox raised an eyebrow with his smug grin, "Why, yes I am." His answer was so blunt and direct that the mouse didn't think he was kidding. 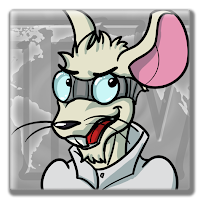 The mouse kept fixing with his glasses as he tried to think of what to say next, "So uh... corrupt me how, exactly?" "Look at you, Mize! How they have broken you down!" The fox exaggerated in a dramatic voice, as if he was mocking the professor. The mouse looked confused and the fox continued the act, "You poor thing, packing your things for the third time as yet another professor has stolen the credit for your work and trampled all over you." "...Who are you? And how do you know so much about me?" Mize asked the fox, baffled by his attitude. Never before had he been approached like this. The fox shrugged and tilted his head, "I told you, I'm an evil businessman here to corrupt you. My public name is Ryan Foxmoore... But mostly I go by the name Egad Nob." Mize looked most unimpressed but the fox walked up to him and put a hand on his shoulder, "Mize, you're not afraid me. You were hoping I would come." "I was?" Mize asked puzzled with a small hint of satisfaction and the fox explained, "You're playing with me, because we both know that hunky and popular professor who stole your work is currently in your pocket, only four inches tall and inside a glass." "...But how would that be possible? The shrink ray has yet hasn't been invented yet, so they'd have a hard time incriminating you," the fox concluded and now the professor returned the wicked grin as he took the glass out of his pocket, shook it a little to show the naked male inside hammering against his hands against the surface before stuffing it back in his pocket. "You even let him steal your research so you could set him up. You not only got your science funded without putting your name on it, but you also got another trophy for wherever your real laboratory is..." The fox concluded as he raised a hand in praise. "So if you know my history with my employers, why would you trust me?" Mize asked him suspiciously, but the fox presented him with a gift. 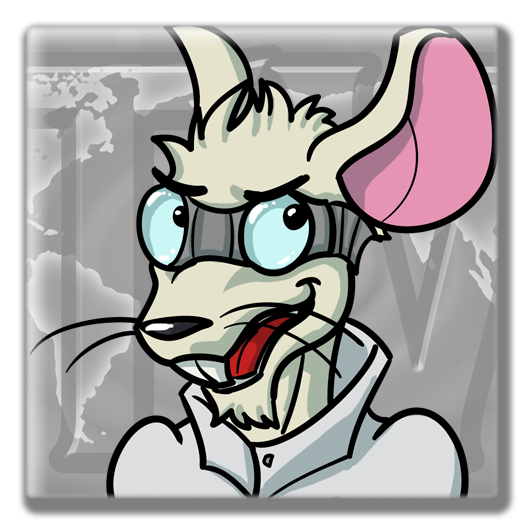 The mouse unwrapped the package and looked surprised as he found a pair of high-tech goggles to replace his glasses. "I think we'll come to an understanding," the fox said as he extended a hand to the professor. The mouse put down his frail glasses and tried on the goggles, then shook the fox's hand with a smirk. "Bzzz-Bzzzt!" The device sounded as the naked brown wolf received an electric shock and with a yelp, fell down on the floor dead at the spot. Drool was pouring out of his still maw with his eyes wide open and no longer blinking, and a little bit of smoke rising from his burnt fur. "Whoops," Egad muttered as he lifted an eyebrow in disappointment, clearly heartbroken over the loss of their test subject. "Our experiment just killed a man and all you have to say is 'whoops'?" Mize criticized... however not in morning either. "Was he supposed to get... electrocuted?" Egad poked the dead body with his foot, still feeling a little bit of static electricity from the touch. Mize shook his head, "I'm afraid it's a side effect of attempting to magnetically attune the body instantaneously." "But you can get around it?" Egad asked him hopefully, casting a glimpse back at the blindfolded slaves in the cages far, whimpering in their unknown fate. "If we slow down the process, yes, it is possible to reduce the electric magnitude to a safe level, but that will require the subject to stay still for several minutes to complete the process and the subject will be aware of the process from the nervous response, which will feel like a slight tickle thorough the body." Mize said as he started fixing with his goggles out of bad habit while talking, and stopped as he realized it. "And once they have been attuned, for how long can they be teleported?" Egad said with his thumb pressed to his lips in deep thought. "Tests show the residue lasts about two weeks the before the subject's magnetic signature to becomes unrecognizable, but how do you plan to get any unwilling subject to submit to the process without defeating the purpose of the method?" Mize questioned his boss and a wicked grin spread over Egad's lips. "Don't worry professor, given the right ruse people will submit to anything. Tomorrow, you'll be going on television." 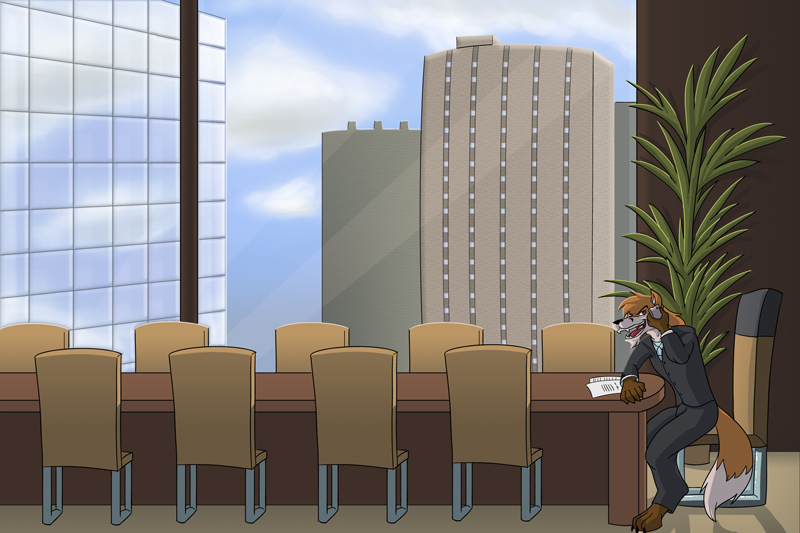 Egad sat in his office chair in the central meeting room of his enormous office building, looking down at the city below so busy and full of life. He had a peculiar diabolic grin as he lost himself in his thoughts. Someone knocked on the door, and the fox could see the reflection of the mouse entering in a white lab coat. "Still can't tempt you with an actual suit, Professor?" The mouse raised an eyebrow, "Then I'd just become you." Egad turned his chair over, offering the professor a seat at his large meeting table. "So, what can I do for you?" Mize looked at him vexed, "I think you know. Yesterday you told me I'd be going on television and now you scheduled an interview about my unreleased invention. What are you planning, Foxmoore?" "What, you don't trust me? I'm hurt," Egad teased Mize with a grin, but the mouse's frown remained. "I think I won't be able to show myself in public after this scheme of yours, so I'd at least like to know why you need me for something outside of my area of expertise." Egad nodded and pulled out a rolled up poster from below the table, unfolding it on the wall behind the professor, "This is..." Mize began to talk but was lost for words. "Tell me professor, what's your first impression of this?" Egad smiled smug as he presented the poster. Mize took a moment to think before answering, "It would seem like a fighting tournament from my first impression." "And what about the people on the poster? What do you think of them?" Egad's question left Mize puzzled again, as if these obvious questions had some kind of test to them. "I think they look like able bodied champions, obviously exceptional at fighting." "So when you were a kid, did you ever collect merchandise like trading cards of these champions?" Mize's expression suddenly changed to surprise as he thought about the question, "You don't mean to say you arranged this whole event as a ruse for application of my invention?" Egad's tone was filled with inspiration as if struck by passion, "These are the champions that you admired when you were little, role models for everything masculine. You never thought of them in another way because you knew they were always out of your league, men above the usual cut. They present everything a man ought to be, as we cheer them on from the sidelines." "You intend to collect your own set of champions," Mize concluded with a smile just as diabolic, "But how do you intend to get them to join? I haven't even see the profile of the two on your advert." "Oh, they'll join, it's their natural element after all. I'll even have these two in the opening match." Egad joined his fingers like a true villain. Mize nodded and got up, "I'll go prepare for an interview then." So excited. Will there be new artwork?